Back in September of last year, Spiderweb Software announced Avernum 3: Ruined World, the final entry in the rebooted trilogy of Avernum old-school RPGs. You see, back in the mid-90s Spiderweb released a trilogy of games known as the Exile series which were well-loved among CRPG fans. In the early 2000s, Spiderweb decided to remake the trilogy using newer technology and expanding on the games significantly. This new trilogy is known as the Avernum series, and it too was beloved amongst CRPG fans. Fast forward about ten years and Spiderweb decided to reboot the series yet again using even more advanced technology and expanding the games even further, but still keeping them rooted in the old-school style that fans had grown to love. Those re-rebooted games released for PC but also made their way to the iPad as Avernum: Escape from the Pit HD ($9.99), Avernum: Crystal Souls HD ($9.99), and finally the soon-to-be-released-on-iPad Avernum 3: Ruined World HD. Here’s the Avernum 3 trailer. “Avernum 3: Ruined World is the conclusion to the epic Avernum saga and a full remaster of Spiderweb Software’s greatest hit. It is a huge fantasy role-playing adventure in an enormous world, with over 60 hours of gameplay spanning an underworld and a gigantic surface continent. Fight the plagues of monsters that are destroying your home. Explore a world that evolves as time passes. Towns are destroyed. Refugees flee. Disasters happen. Fight to save the world. Or don’t! Do odd jobs. Become a bounty hunter or a merchant. Buy a house. 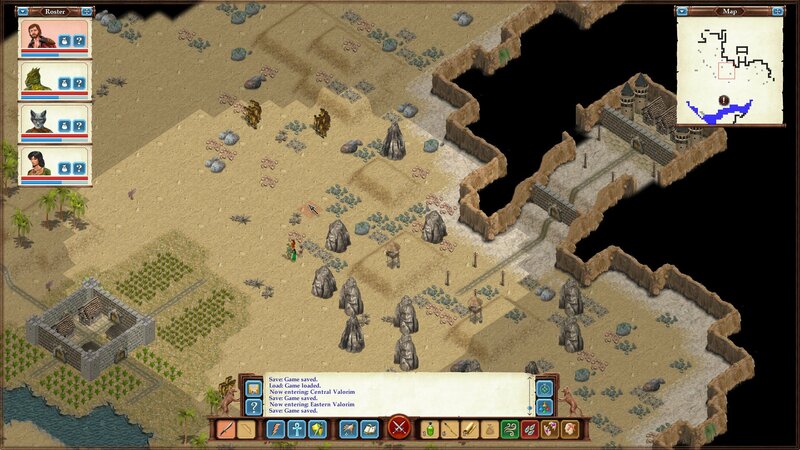 Explore a multitude of towns and dungeons. Master over 60 spells, battle disciplines, and hunt for hundreds of magical artifacts. Explore one of the biggest, most unique worlds in computer games!" It all sounds incredibly exciting, and I know there are a lot of Spiderweb Software fans in the mobile world who can’t wait to conclude this trilogy on their iPad. In fact, it’ll be really awesome that both the Avadon trilogy and the Avernum trilogy will be available on the App Store for CRPG’ing on the go. What a time to be alive. Like previous Spiderweb releases, Avernum 3: Ruined World HD will be a pay-once premium game and will likely clock in at $9.99 like its siblings, so look for it when it arrives on iPad next week on April 18th.